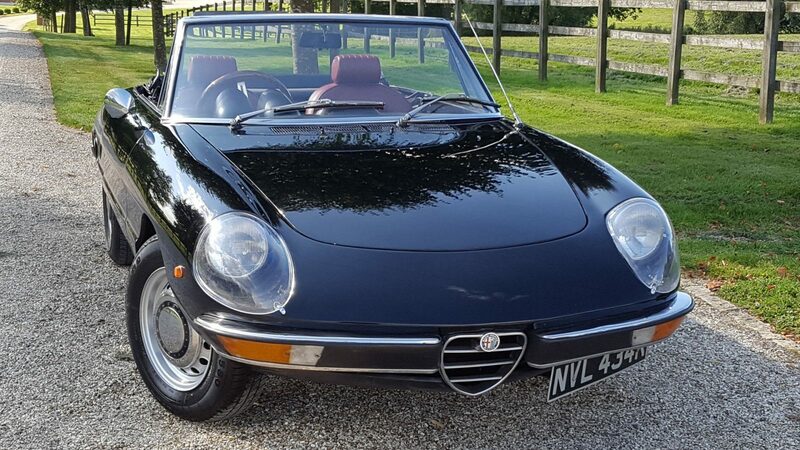 This is a very good looking Alfa indeed. 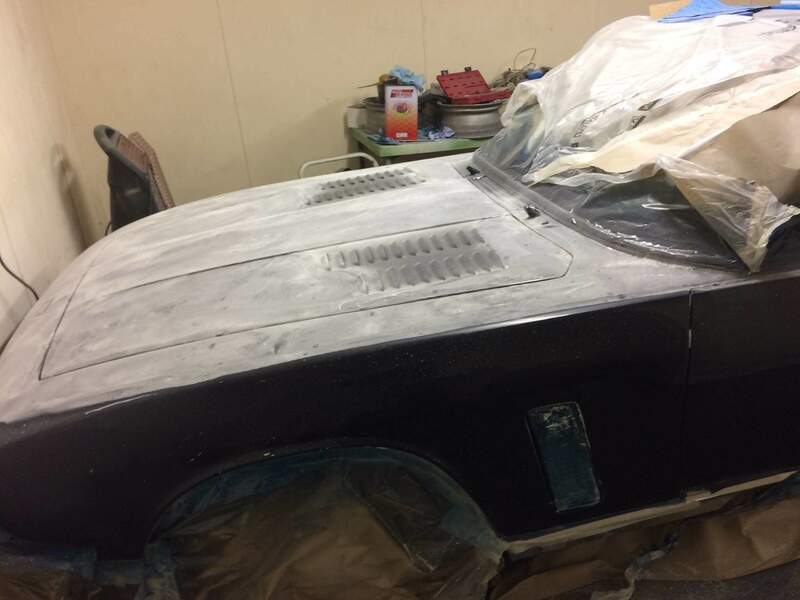 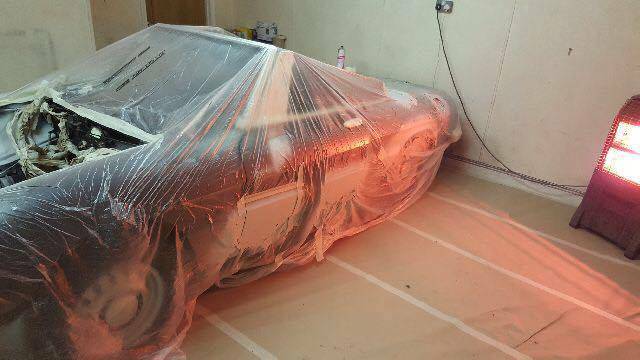 This vehicle has had a full bare metal respray including engine out and paint of the whole engine bay. 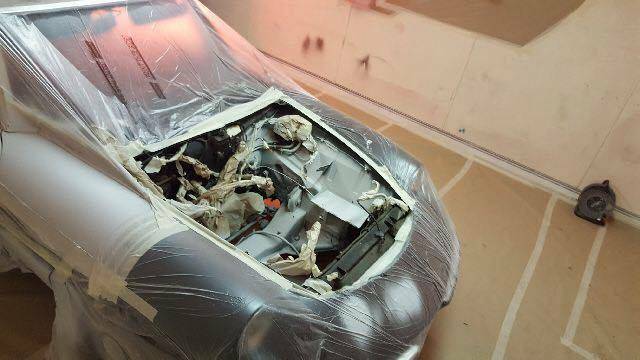 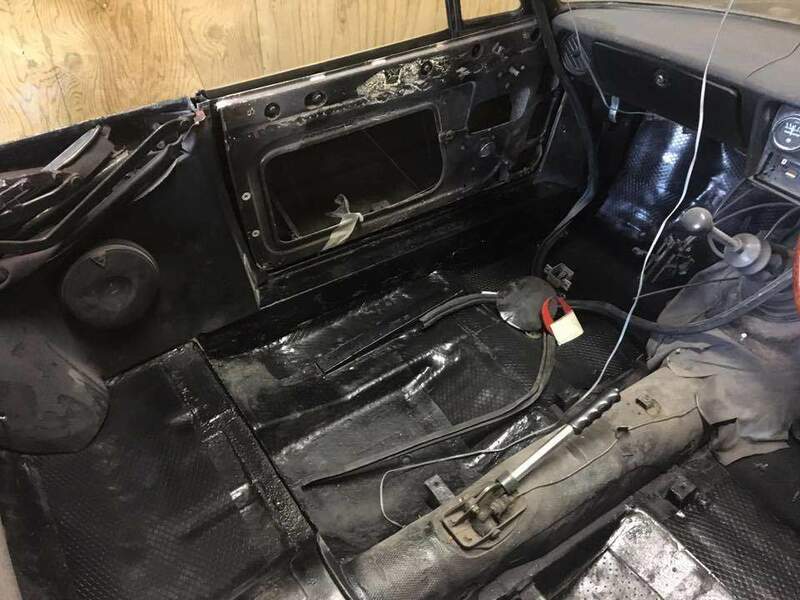 The engine has been removed and stripped and fully detailed along with all ancillaries. 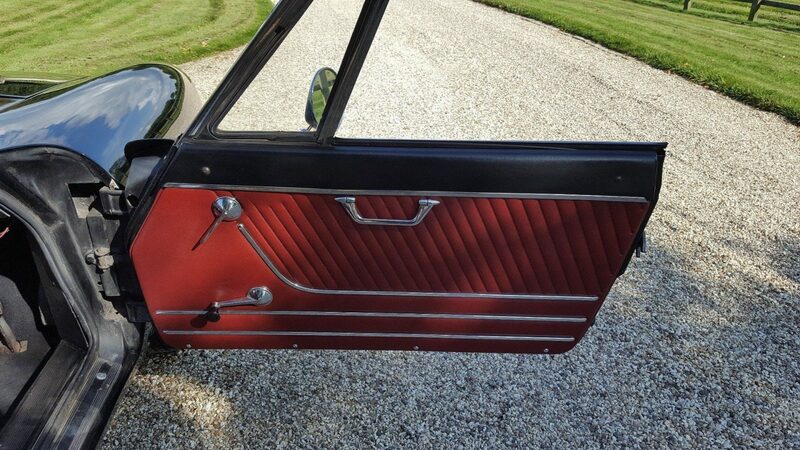 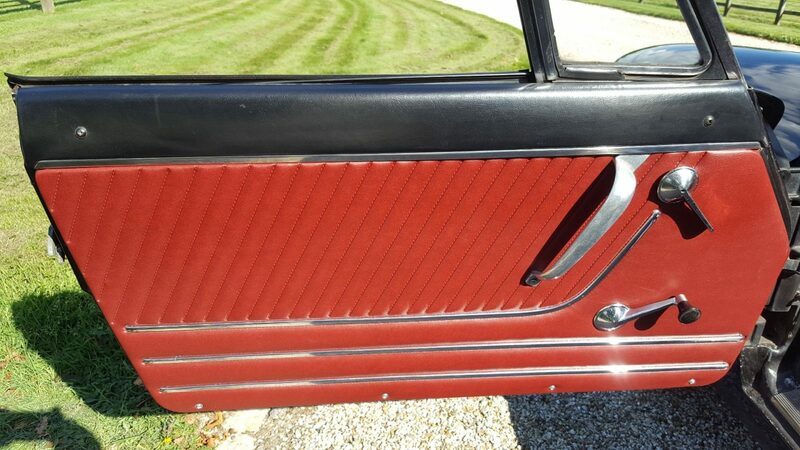 Door handles have been re-chromed. 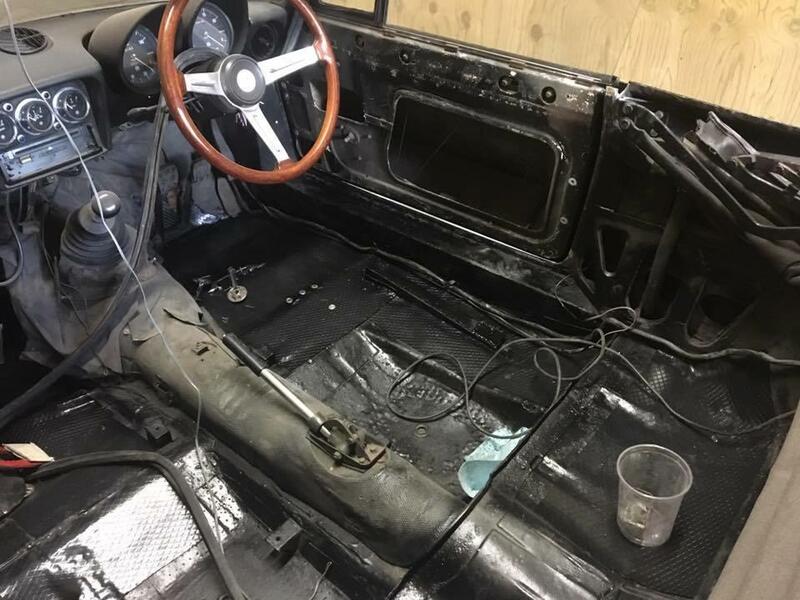 The price reflects the works carried out, however, is still at least half the price of others in the marketplace in a similar condition. 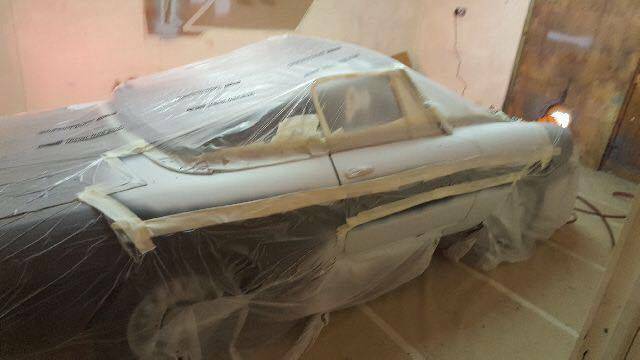 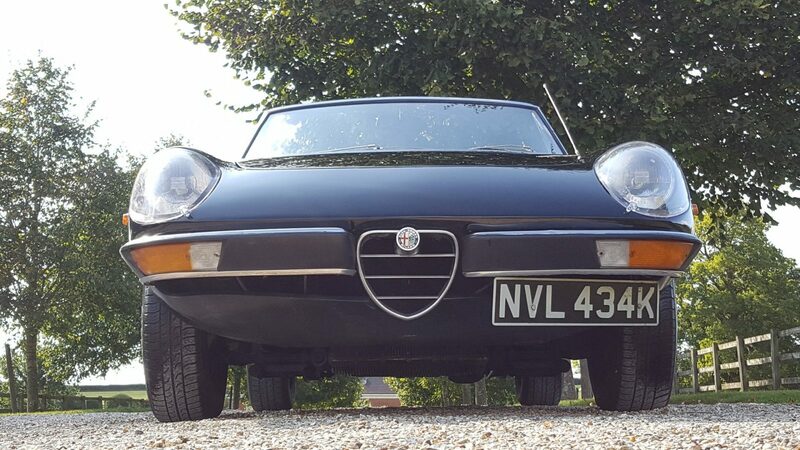 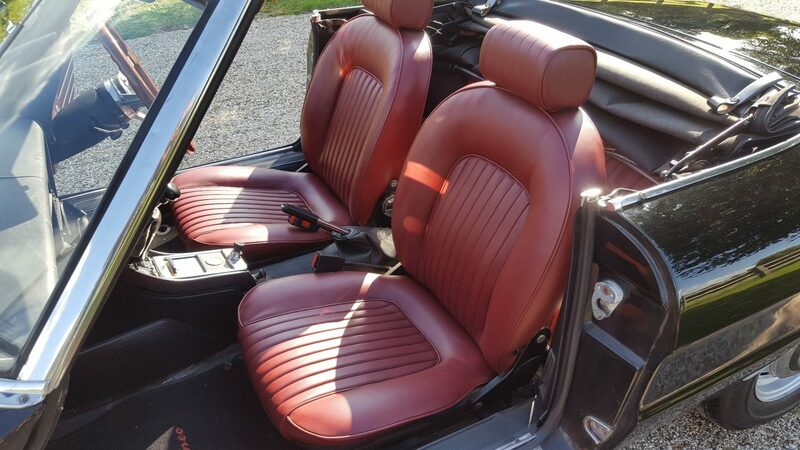 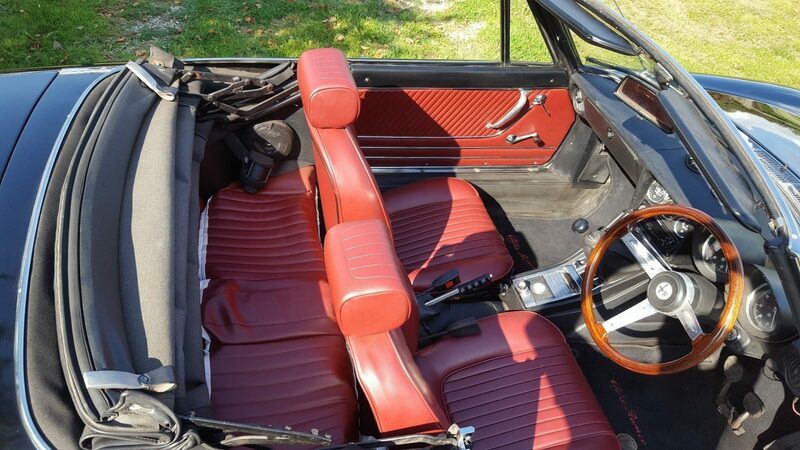 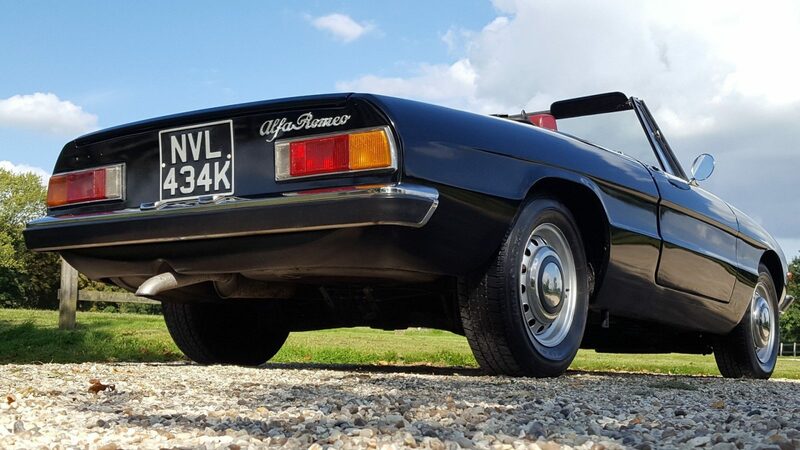 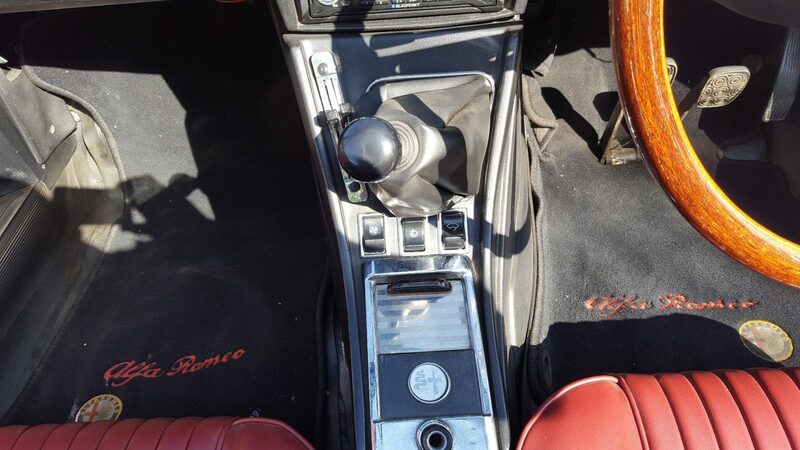 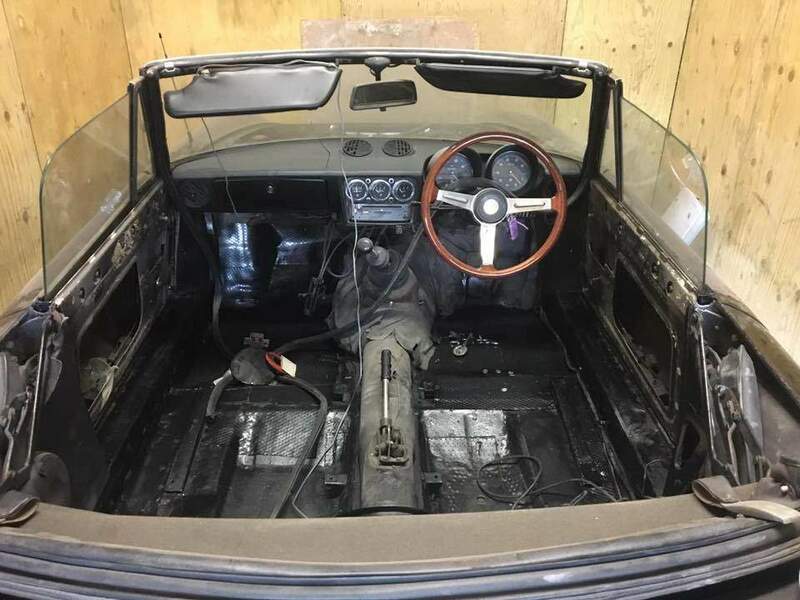 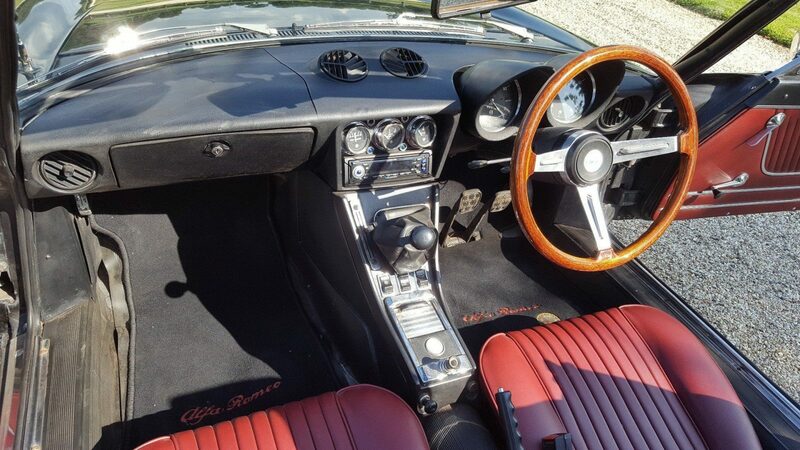 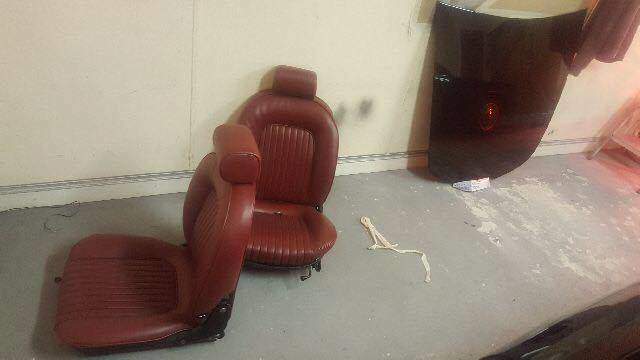 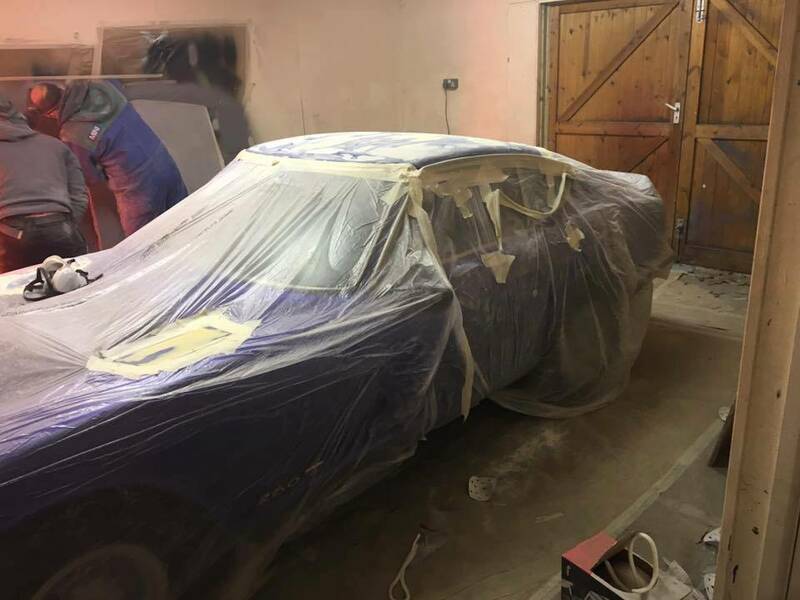 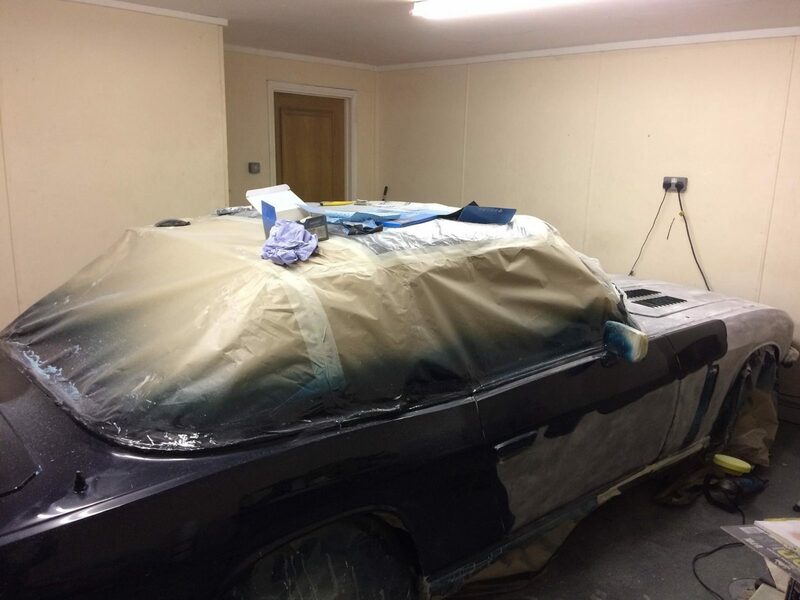 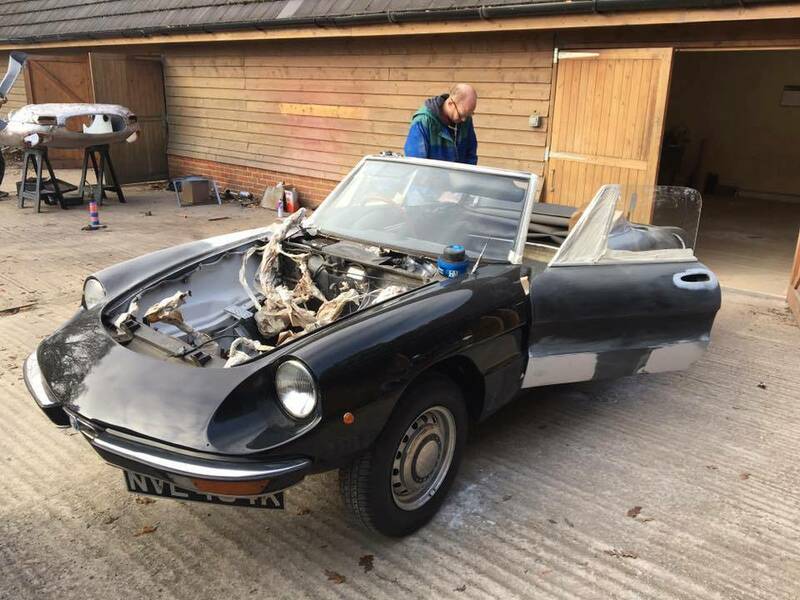 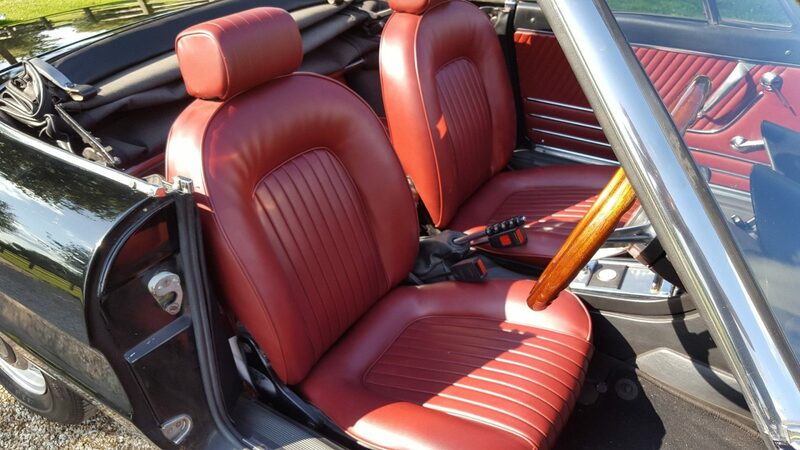 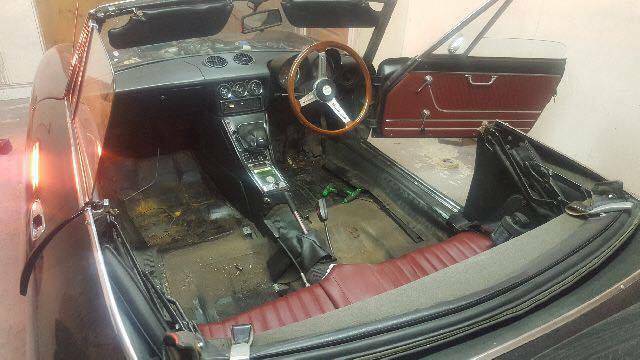 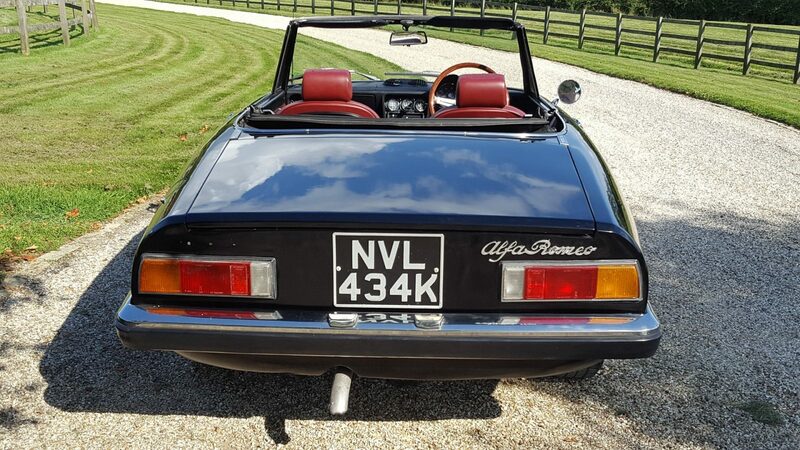 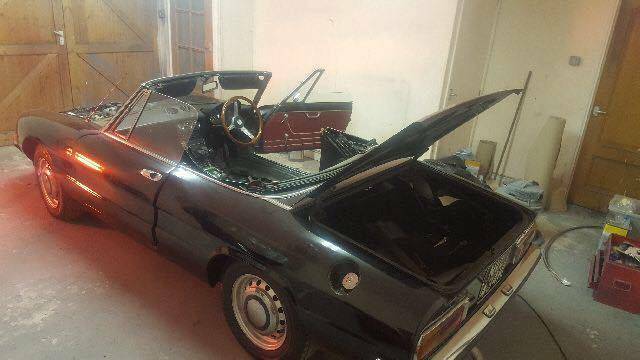 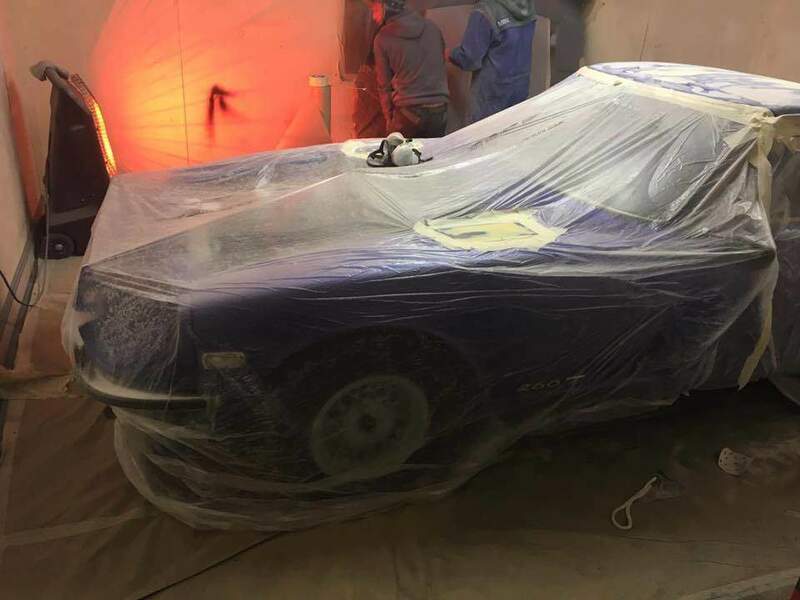 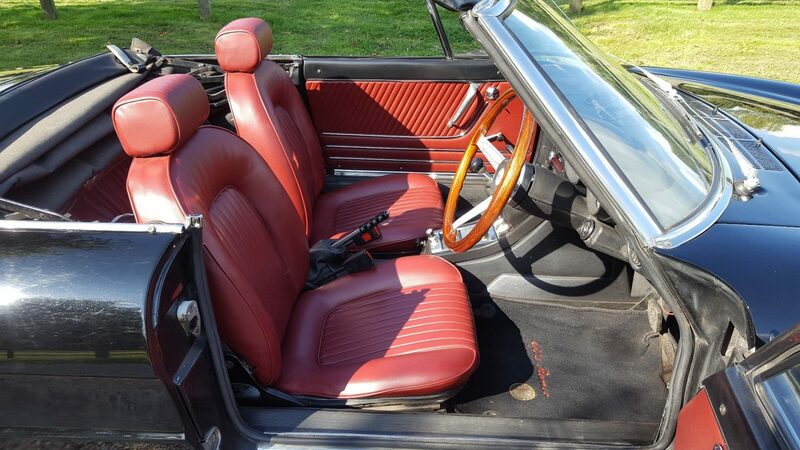 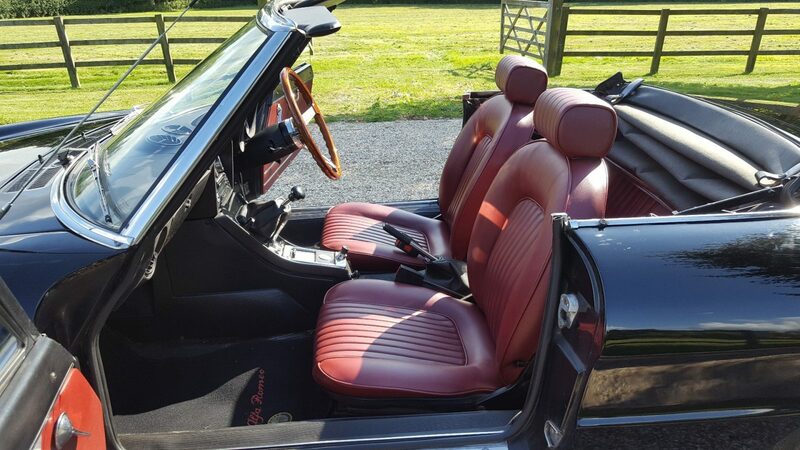 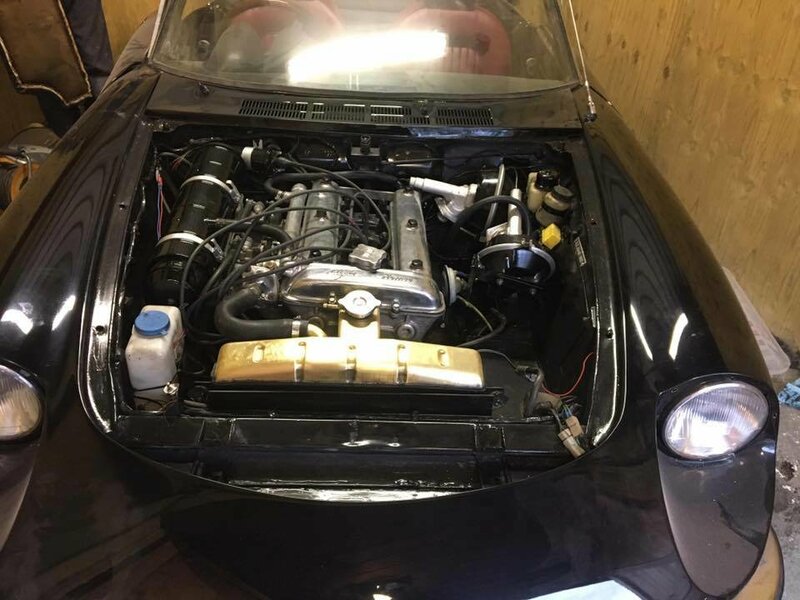 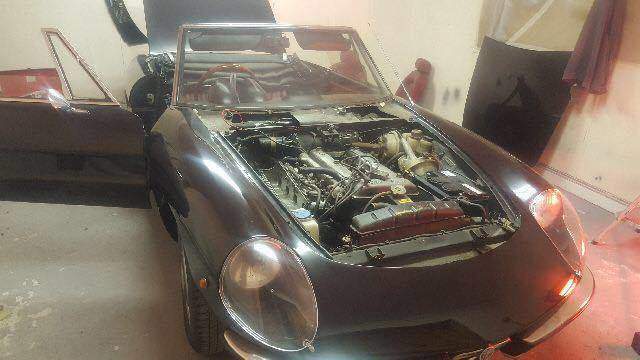 This Alfa has had many weeks of time thrown at with 2 x experienced staff members on it full time we are anticipating in parts and labour our renovation bills to come to excess £8000. 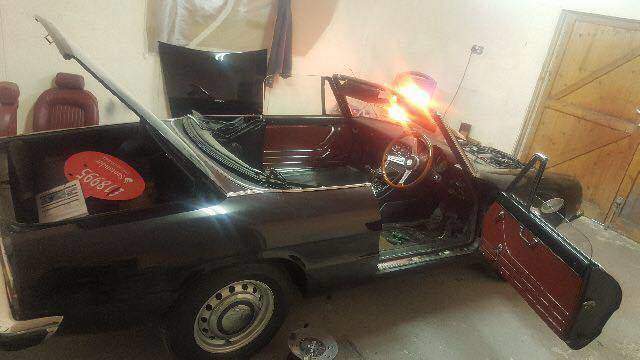 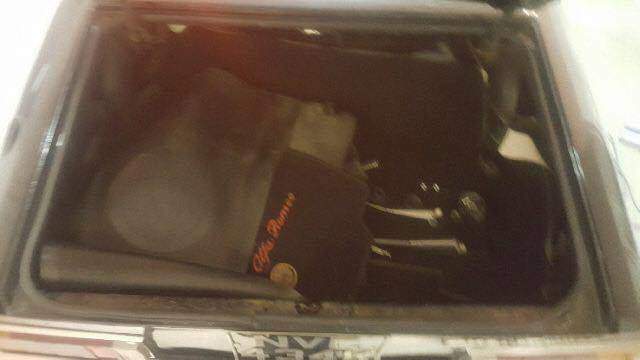 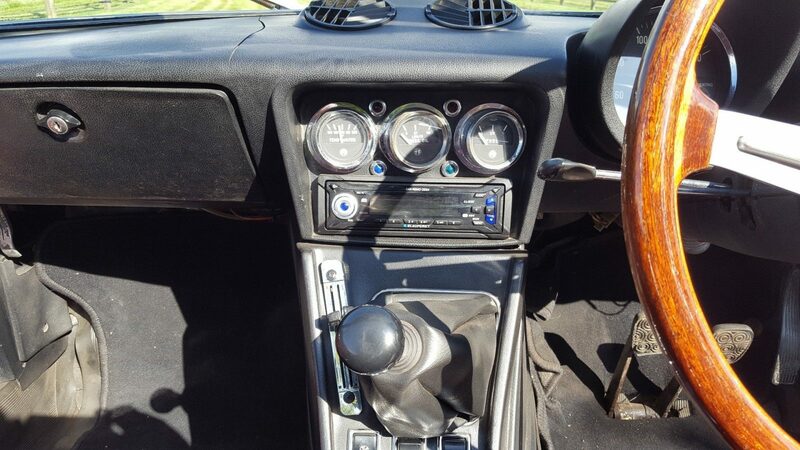 In 1990 the vehicle was fully restored completely stripped it was white with red leather at this time it was restored again and had a colour change from original white to black during the owner who acquired in 2004-2014 it had the interior restored new hood the original 1750cc engine by this time according to the dialogue on file was in bad shape so the vehicle was sent off to an Alfa specialist for a replacement in the file is a picture back in the early 1990s showing it as white with red leather. 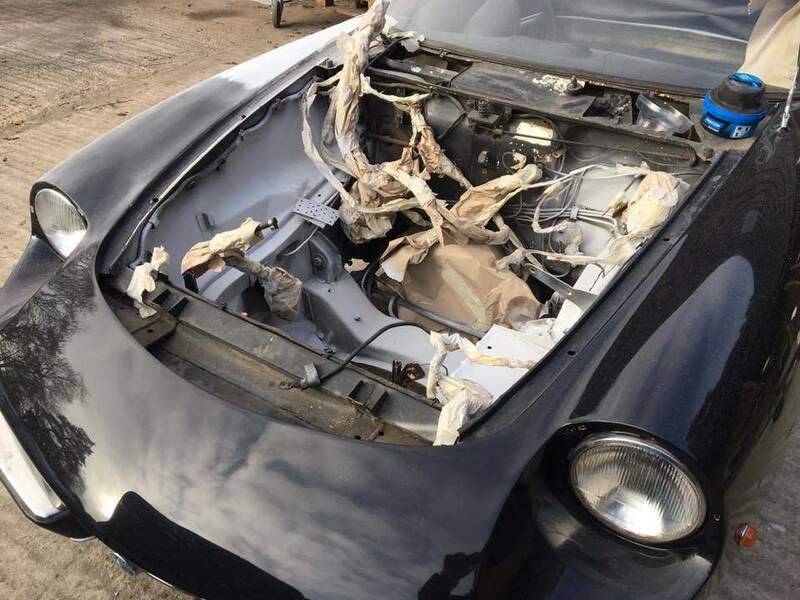 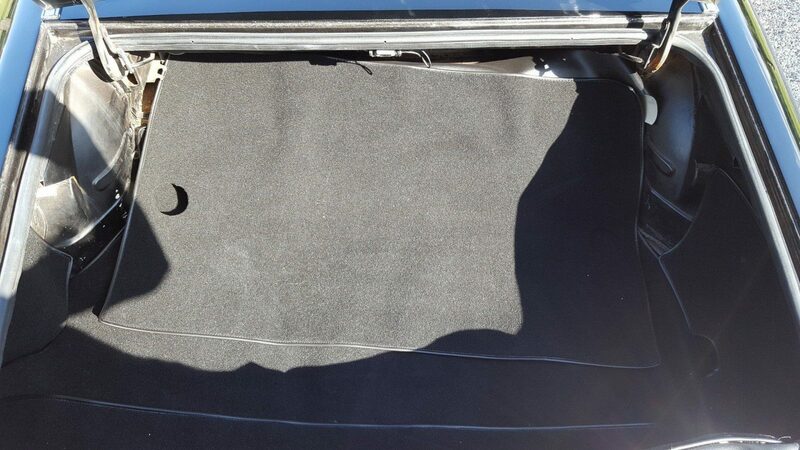 The vehicle changed hands in 2014 and within the file, we have invoices since then totalling in excess of £7800 and a detailed evidence of repairs /maintenance /pics of repairs etc. 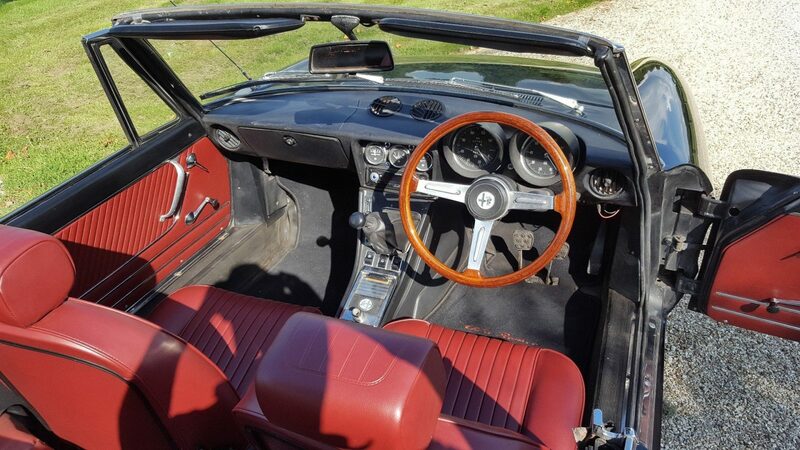 Rolling back to the previous owner we have invoices on file for c £9500 and pics of it in the bare shell being restored. 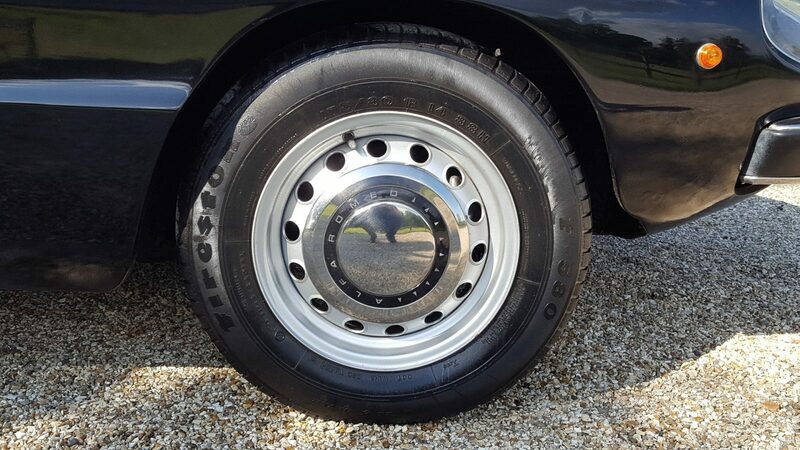 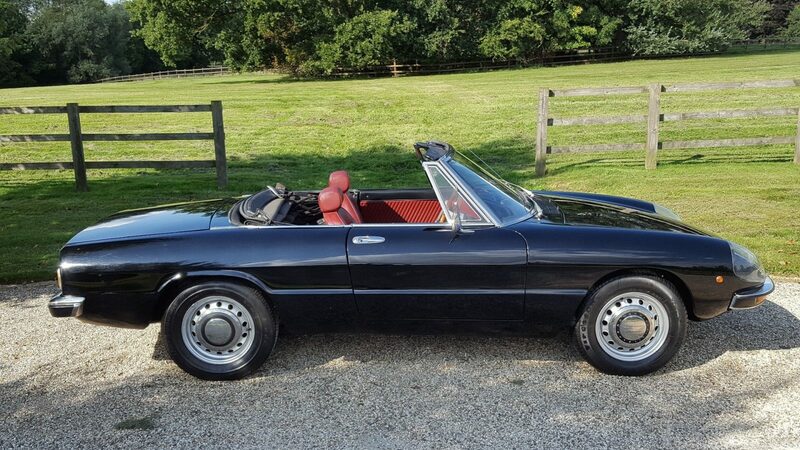 Going back further we have copies of v5s back to early 80s with mots etc and further bills on file for c £10000 various valuations in the history file indeed a good file of history and bills going back almost 30 years. 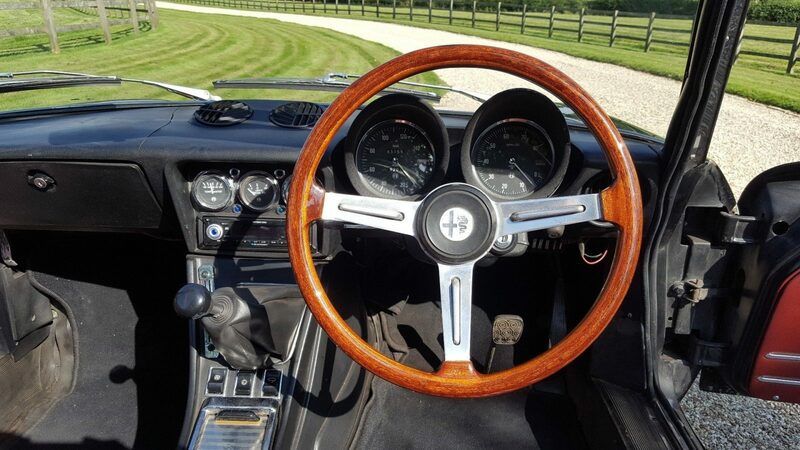 It is our belief based on the history file we have the vehicle has always been right-hand drive. 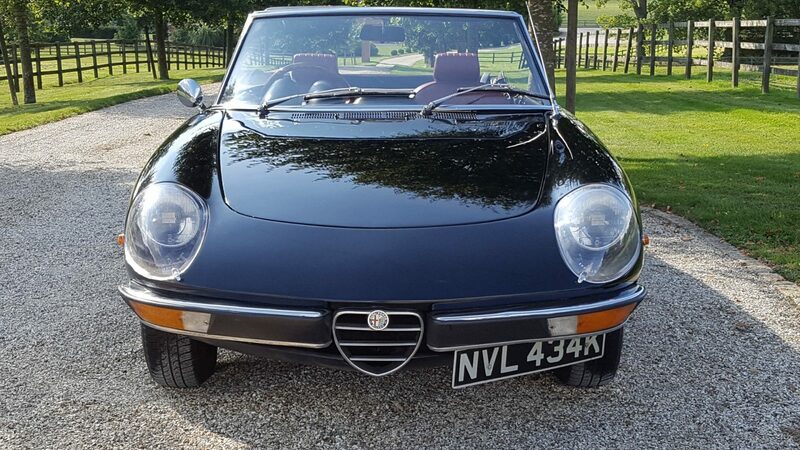 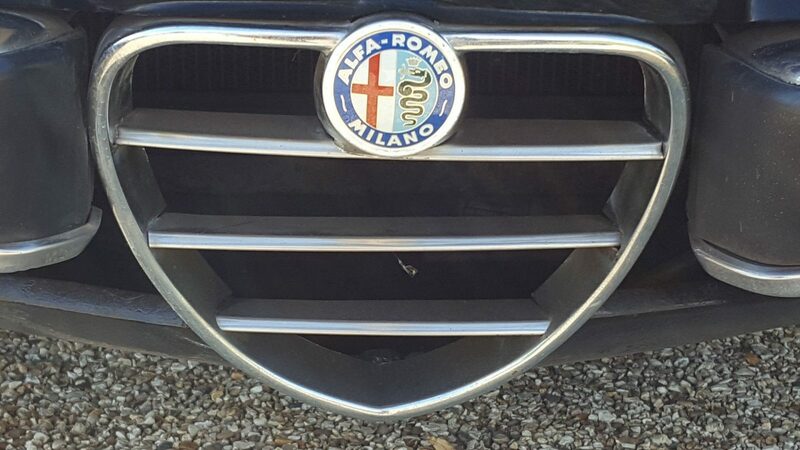 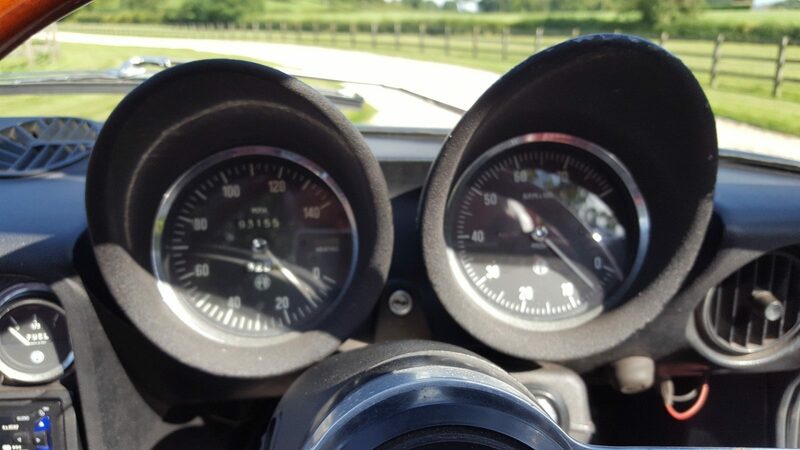 Alfas of this age are commanding in certain places in excess of £40000 and prices are still rising. 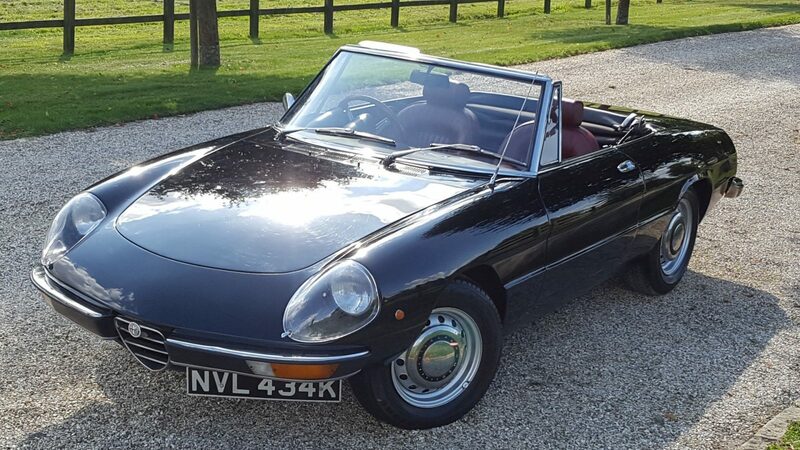 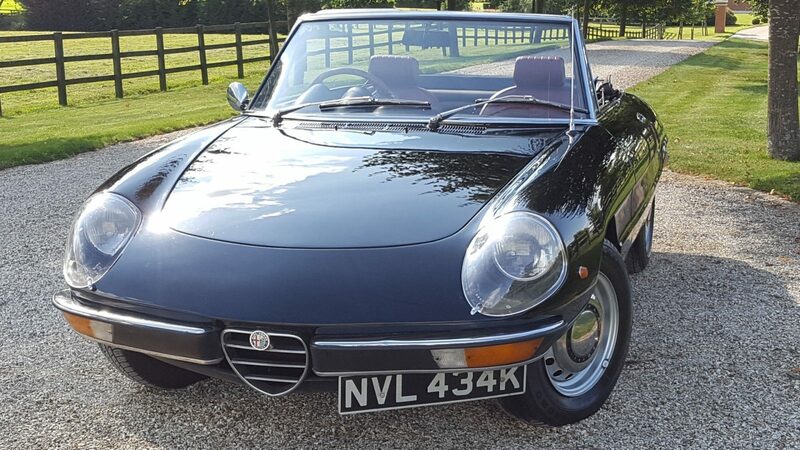 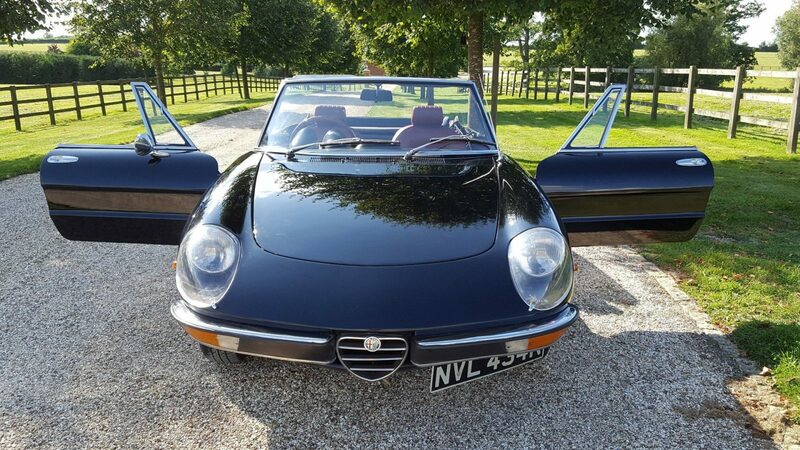 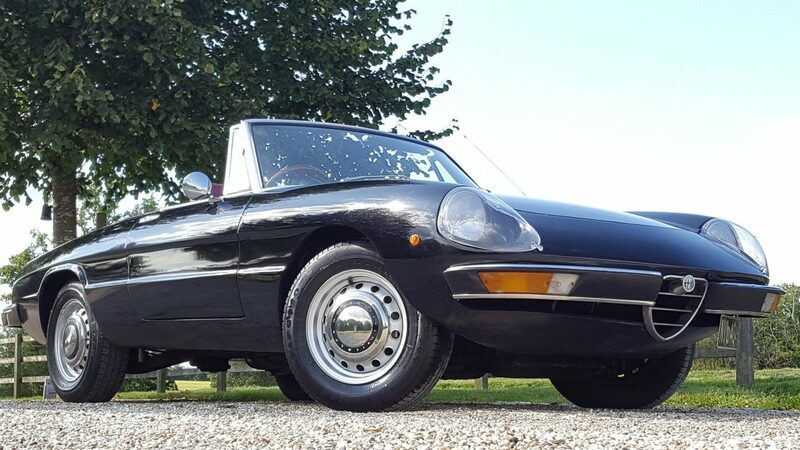 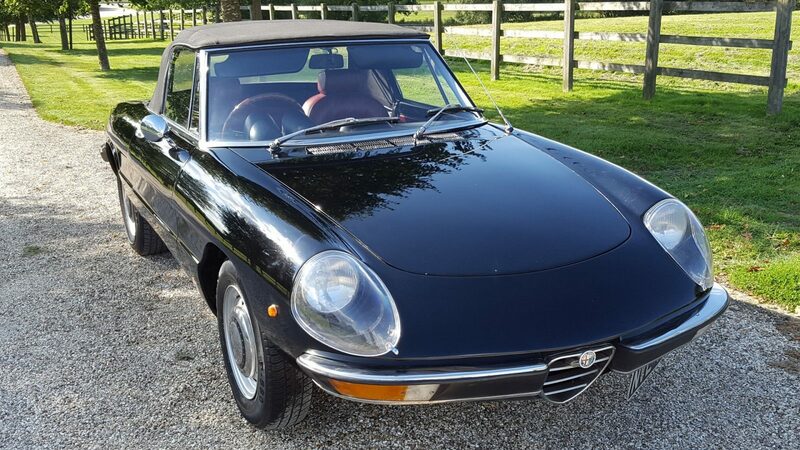 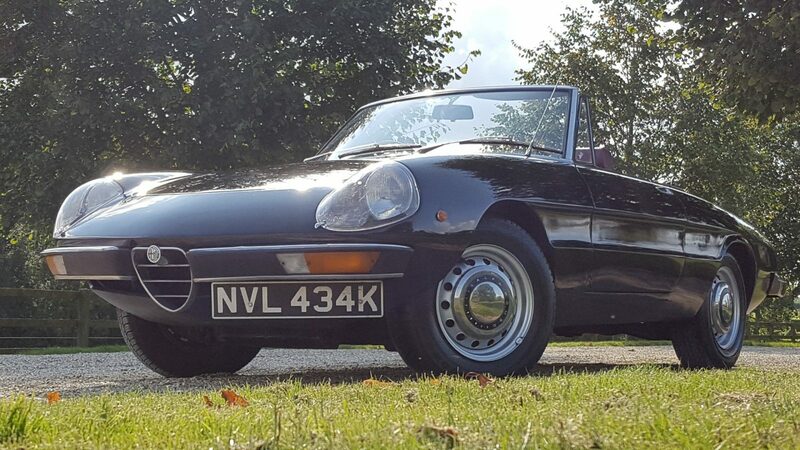 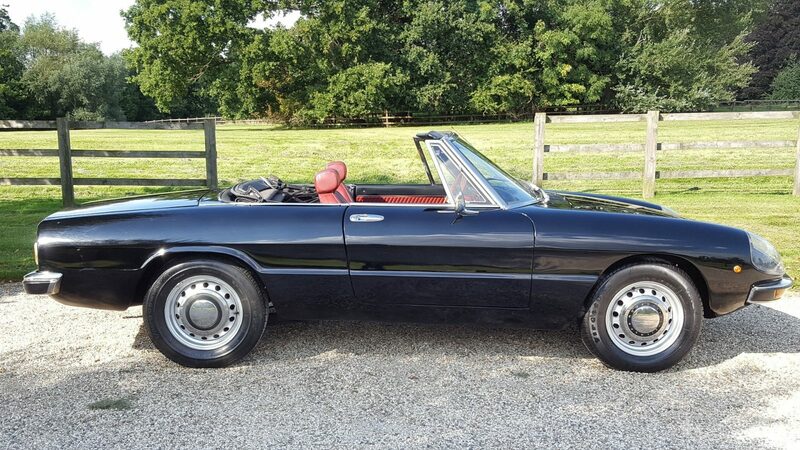 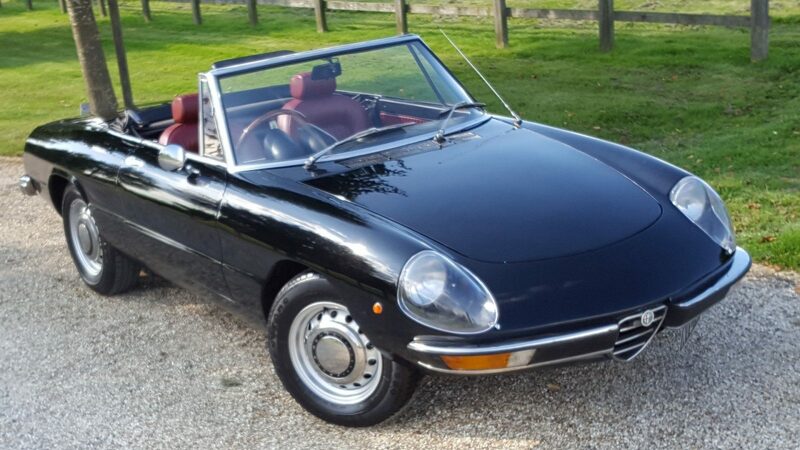 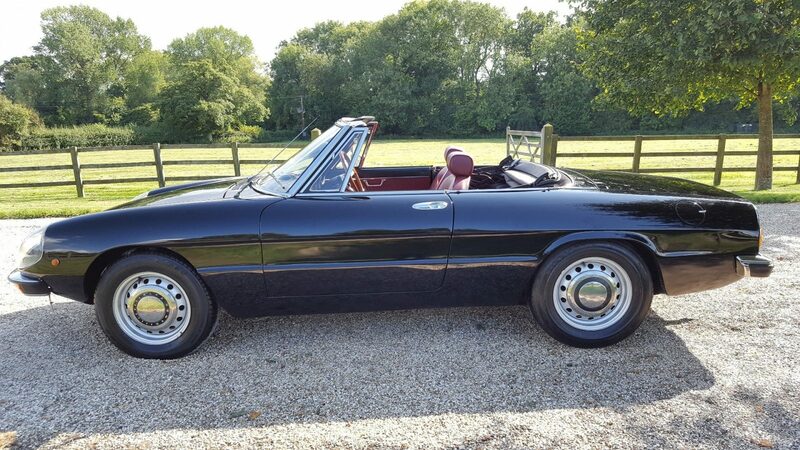 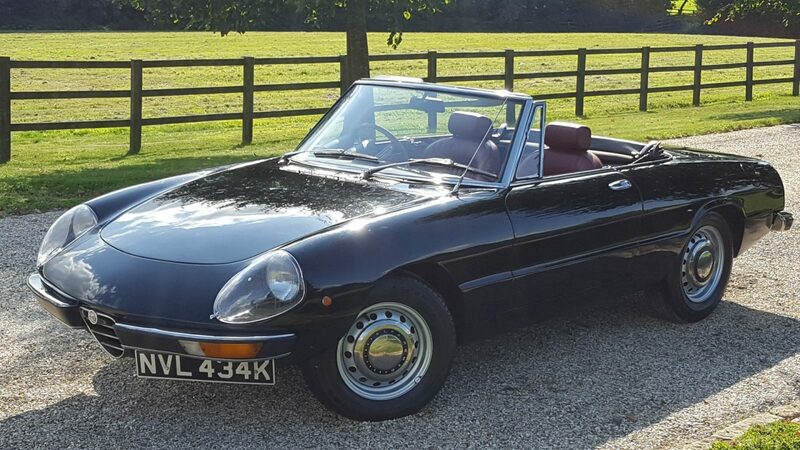 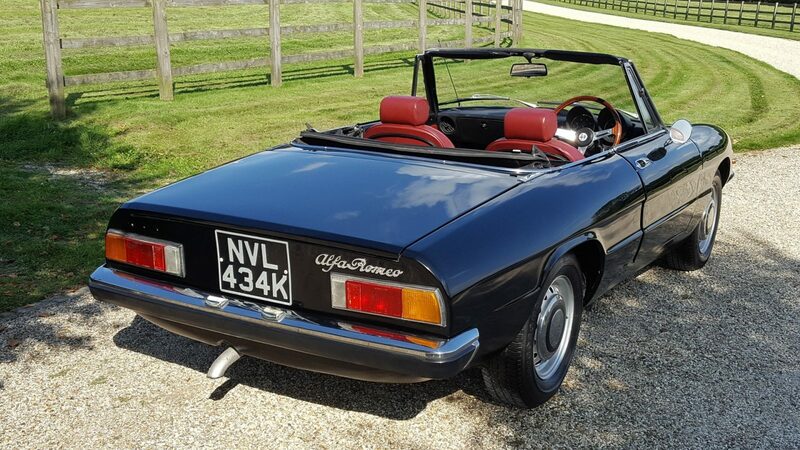 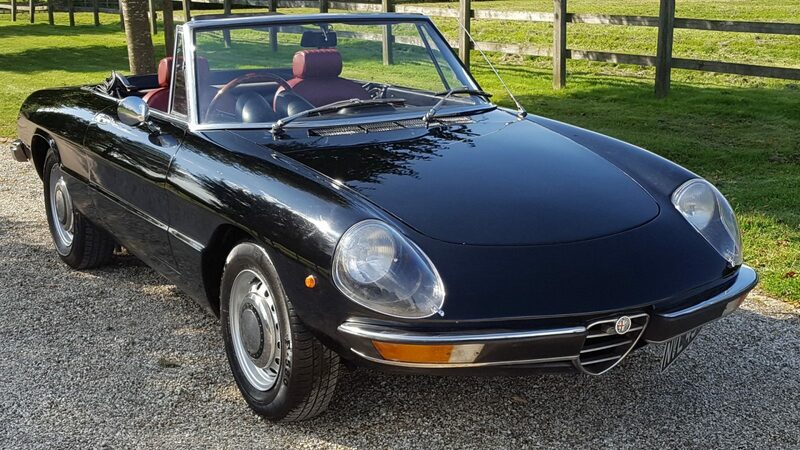 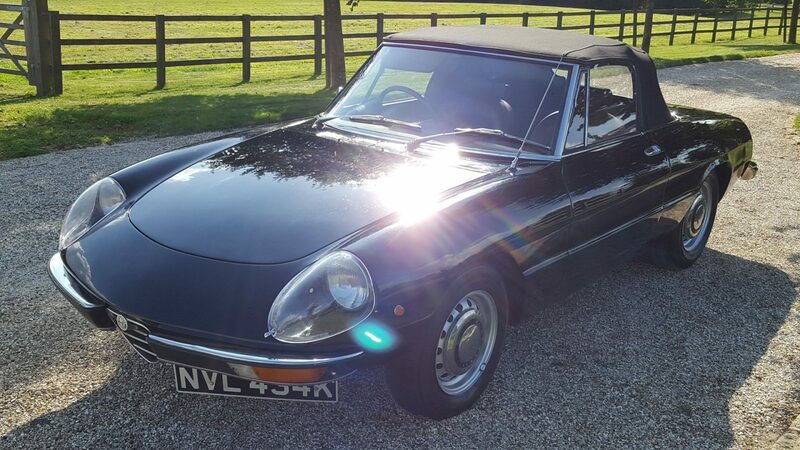 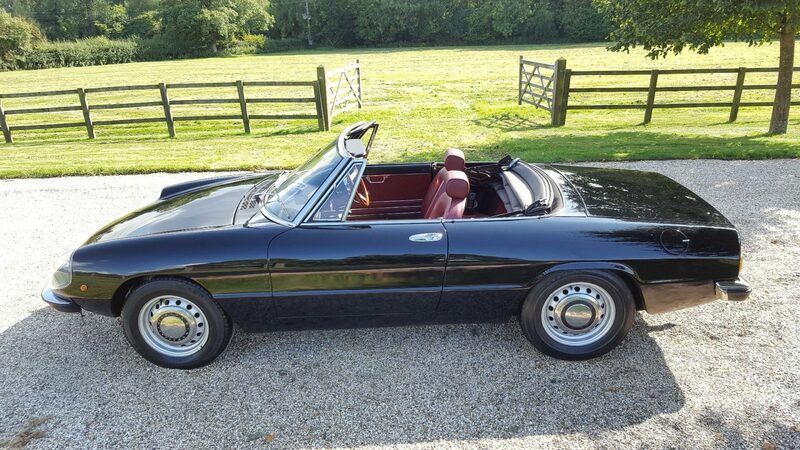 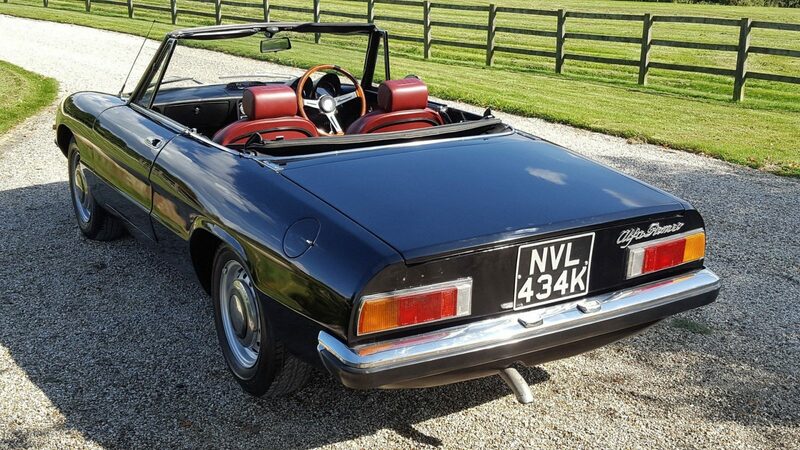 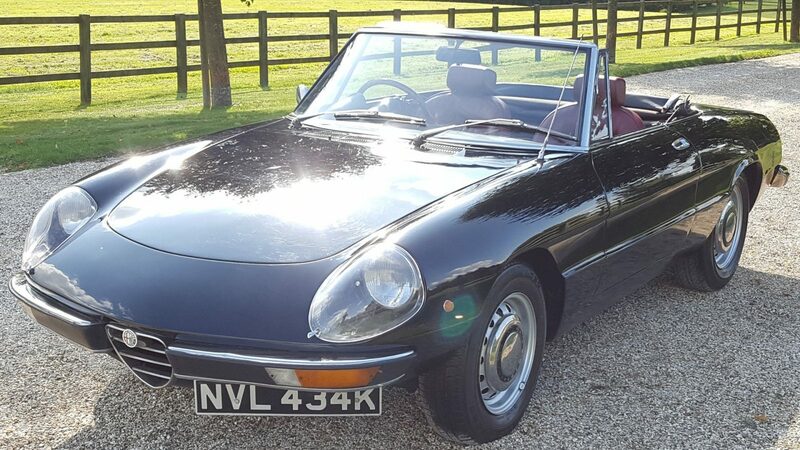 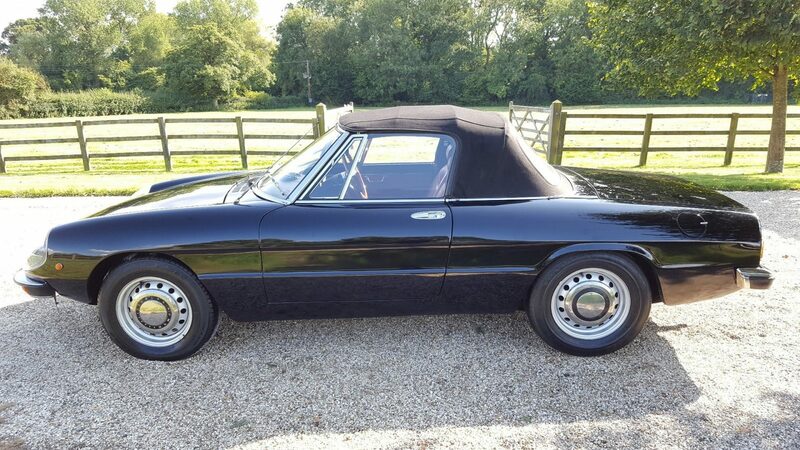 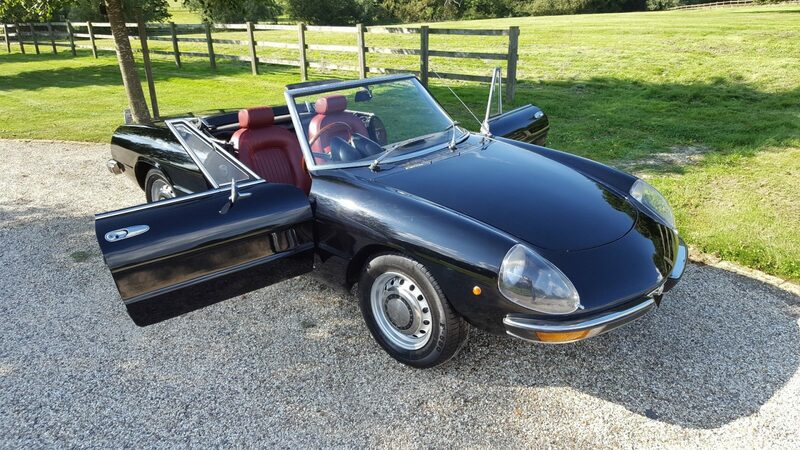 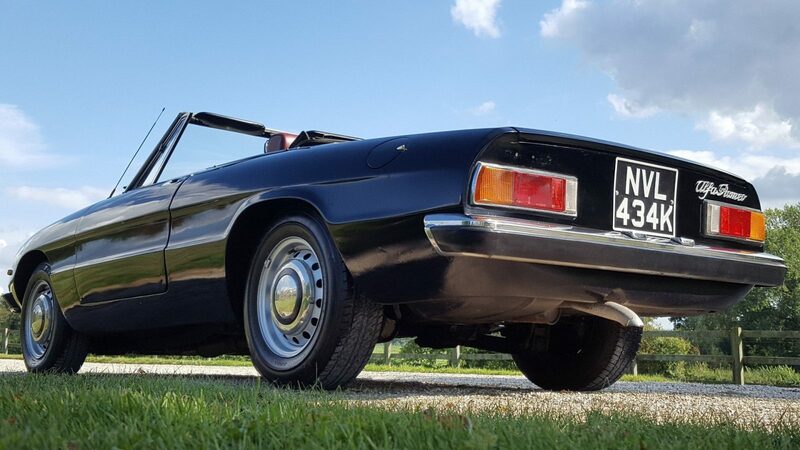 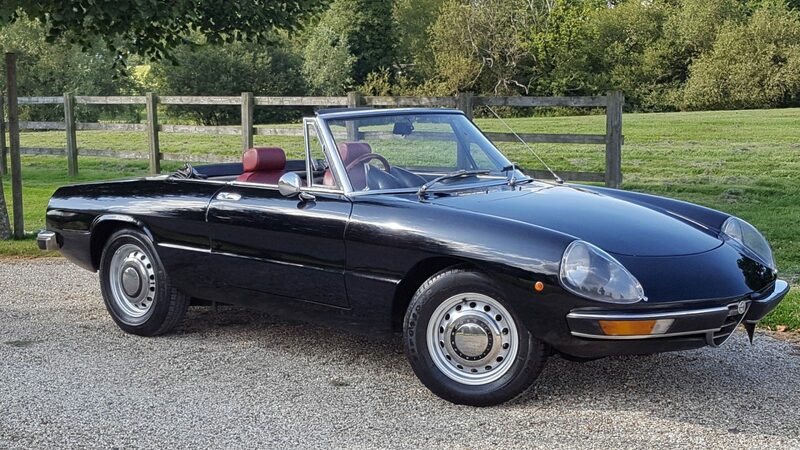 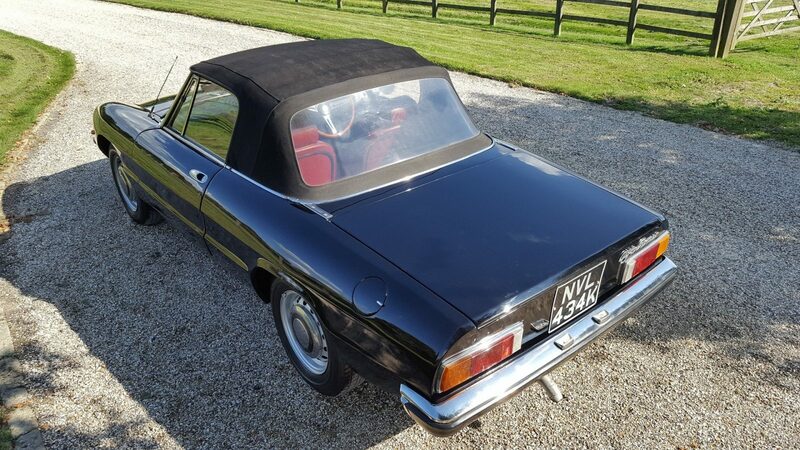 This is a very well sorted 46-year-old spider that has (even using the bills on file alone) had £1000s lavished on it over the years to be what is now a striking and stunning example. 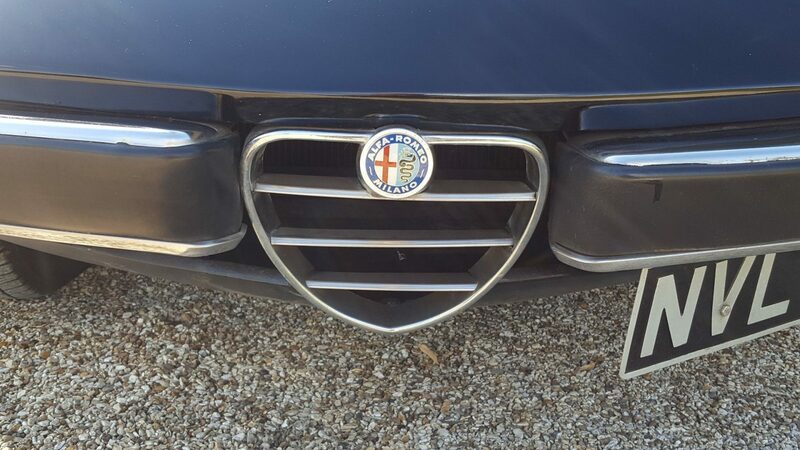 Invest your money into something that will give grin factor and a return. 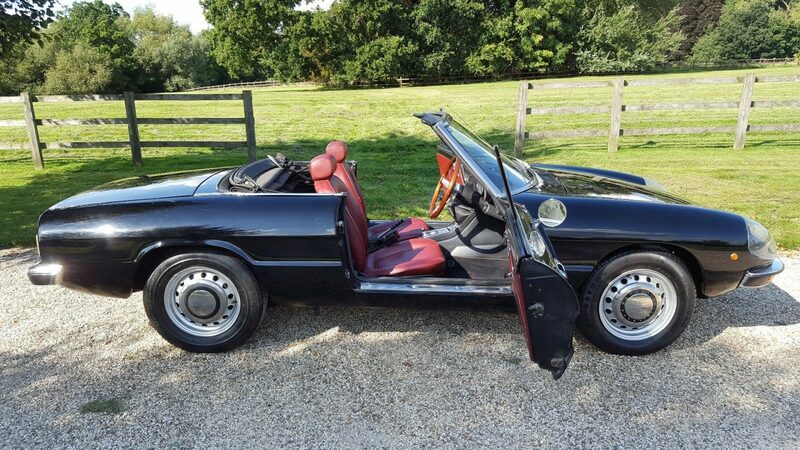 The vehicle needs an owner to use it indeed having covered just 3000 miles in 7 years it wants to get out and be driven more.